Sometimes you get that travel itch and just need to get up and go. If you're the type to quickly get wanderlust, why not experience some great music while on your worldwide ventures? There's plenty of wonderful music around the world and tons of incredible venues that deserve to be experienced, especially if you tour for a living. Nobody will appreciate a fantastic live music setting more than a musician. Here are seven venues outside of the US, in no particular order, that are truly spectacular. If you play your cards right, you may one day even get the chance to perform in some of these! How much cooler can you get than a real life, still-functioning castle? Not much, especially when the grounds connected to said castle play host to some of the biggest and best-known bands in the world. Slane Castle is over 300 years old, and it's somehow managed to remain badass, even after all these years. 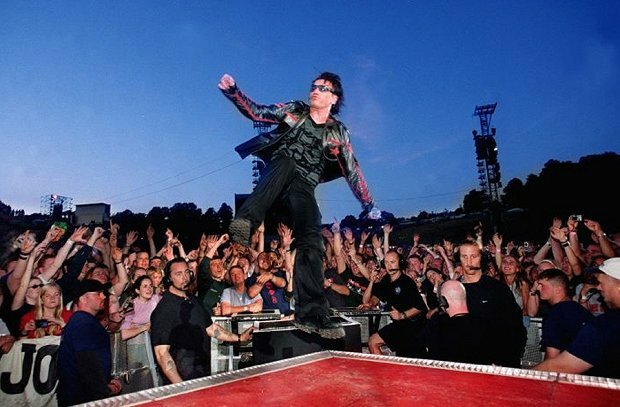 The castle's grounds can accommodate up to 80,000 people, which helps when artists like Madonna, U2, the Rolling Stones, or Bruce Springsteen come to play, which they all have. Sweden is already responsible for some of the best music in the world, so it shouldn't come as much of a surprise that it also features some top-notch venues. Awesome music thrives in awesome places, right? 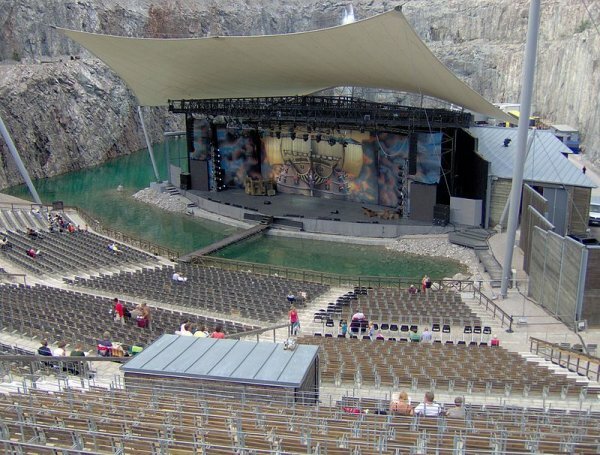 Dalhalla has got to be one of the coolest venues any artist could play, as it's situated inside an old limestone quarry. This village is actually a "living museum," where the idea isn't just to look at things, but to interact and experience. The town was built to not only display the unique Malaysian culture and educate people, but also to preserve certain traditions – such as music and dance – from dying out. The village also hosts the annual Rainforest World Music Festival, which brings over 20,000 people to the secluded area every year. A38 isn't your typical venue, so much as it's a boat that now hosts everything from concerts to film screenings. The vessel used to carry stones from port to port, but now it carries music lovers who board to see acts like Against Me, Little Boots, and Selah Sue, all of whom have shows coming up soon. If you like your music with a view of the Danube, this place is for you. 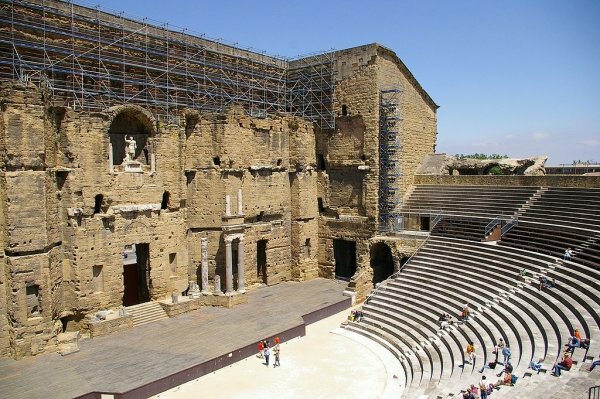 A Roman theater may not sound like your average music venue in France, and it's not. Not even close. In the several thousand years since it was built, the structure has been used for a multitude of different purposes, the most recent of which is hosting concerts. For several hundred years it was a military stronghold, but a century or so ago it was finally restored to its original purpose. 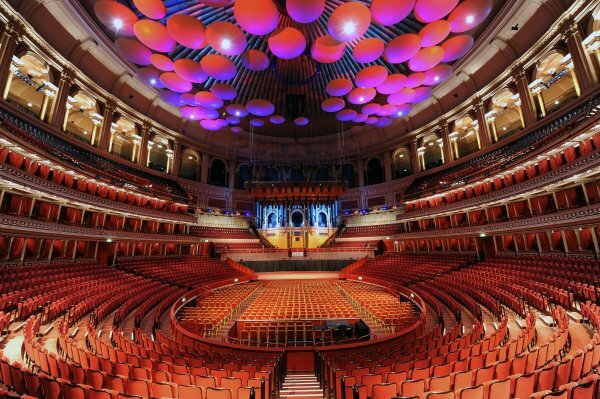 Truly one of the great music halls of the world, the Royal Albert has seen some of the most talented figures take its stage over the years, and it's still regarded as a treasure. Eric Clapton has reportedly played here over 200 times, including the George Harrison tribute he staged there when the Beatle passed away. More recently, Adele recorded a live album at the Hall, bringing it to the attention of a new generation. 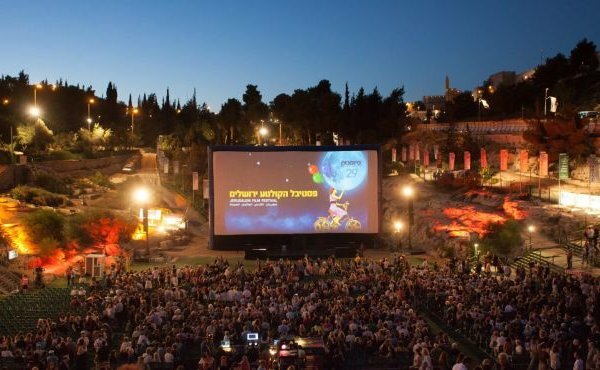 The Sultan’s Pool is the name given to a water feature located in Jerusalem, which has helped sustain the city for hundreds of years. In fact, the pool was even mentioned in the Bible, so say some. These days, there's less water in it than there was in the past, so it dries up in the summer, and when it does, concerts are held in the wake (pun intended) of the waves. 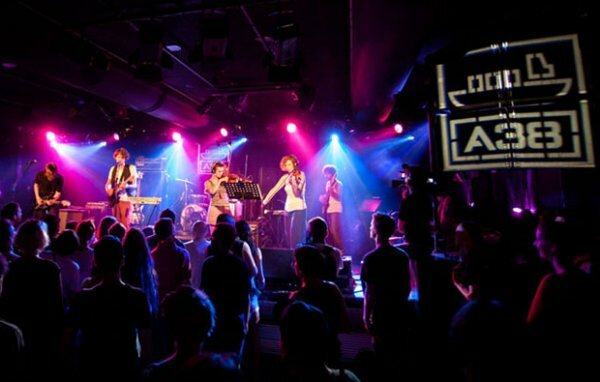 What's the coolest music venue you've ever been to? Tell us in the comments below!